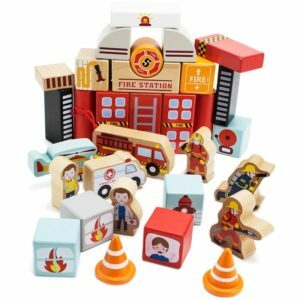 A beautifully designed 13-piece playset that offers plenty of teachable moments, from planting and fertilizing, to lessons about nutrition. 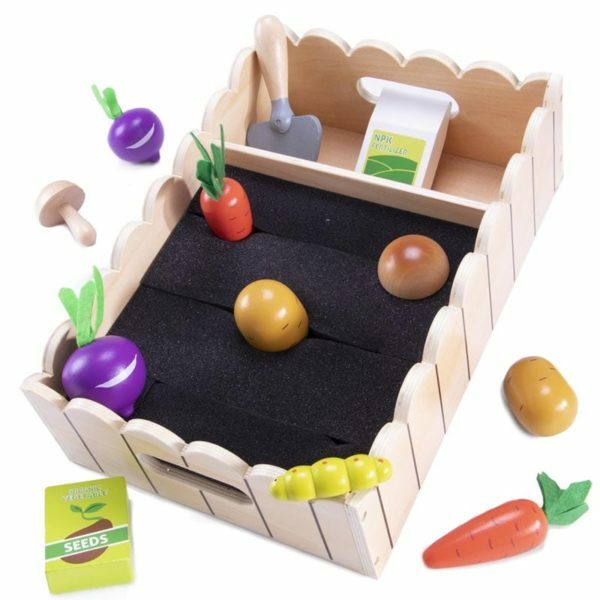 The quality wooden set includes carrots, beets, potatoes, mushrooms, a trowel, caterpillar, fertilizer and seed packet. 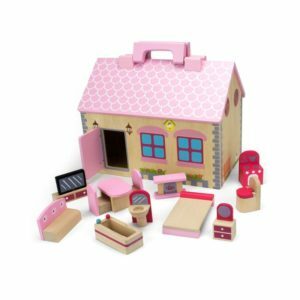 And it has a handy storage section, encouraging children to tidy up after themselves. Wooden playset includes 2 carrots, 2 beets, 2 potatoes, 2 mushrooms, a trowel, caterpillar, fertilizer and seed packet. 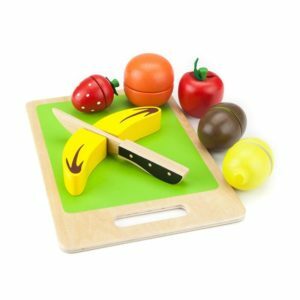 Ideal STEM toy to teach young ones about growing food and eating nutritiously. 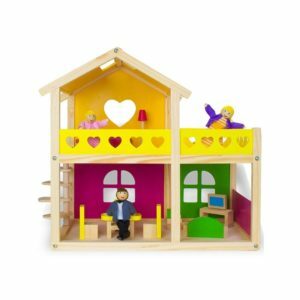 Made from solid cuts of wood and finished with safe, water-based paints.